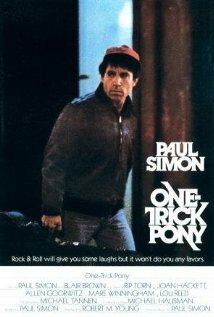 Buy or Rent One Trick Pony (1980) Movie DVD & BluRay Online! Movie Plot: Jonah (Paul Simon) is an aging rock star trying to put together a new album in the face of an indifferent record label and a talentless producer. At the same time, he’s struggling to save his failing marriage.